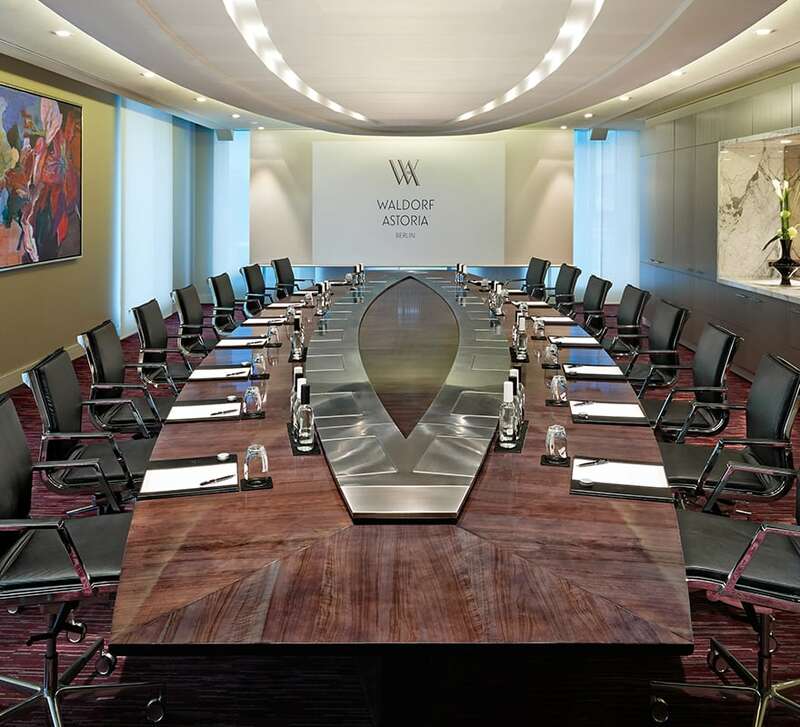 Hold inspiring meetings and events at Waldorf Astoria Berlin, where our grand ballroom and five versatile event spaces set the scene to impress your guests. Our highly experienced events staff will cater to your every need and ensure your special occasion flows seamlessly. Celebrate with us the 69th International Film Festival and benefit from our extraordinary offers exclusively for you. • From a booking of at least ten rooms, we include our rich breakfast buffet and Wi-Fi for a price of EUR 170.00. 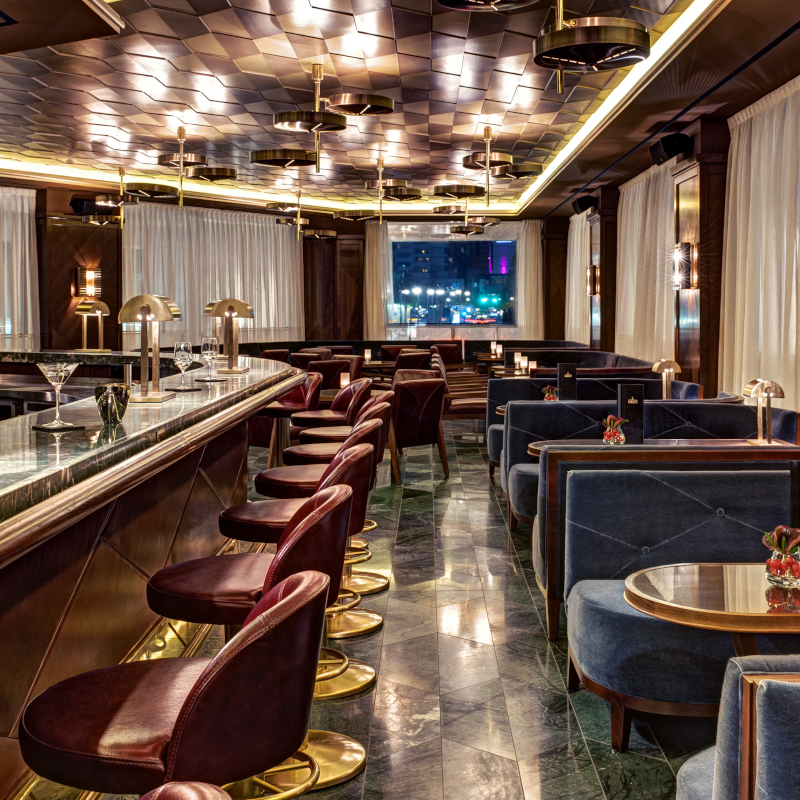 • From a minimum stay of 50 nights we are happy to invite you to a welcome reception in the Lang Bar of the Waldorf Astoria Berlin, with a view of the Zoopalast (subject to availability, the place might change). • Early Bird: For group bookings until 15th December 2018 we grant for all 10th nights booked a free upgrade to our Junior Suite. Bookable between 15th November 2018 and 31st January 2019 for bookings between 7th February 2019 and 17th February 2019 upon request and availability. 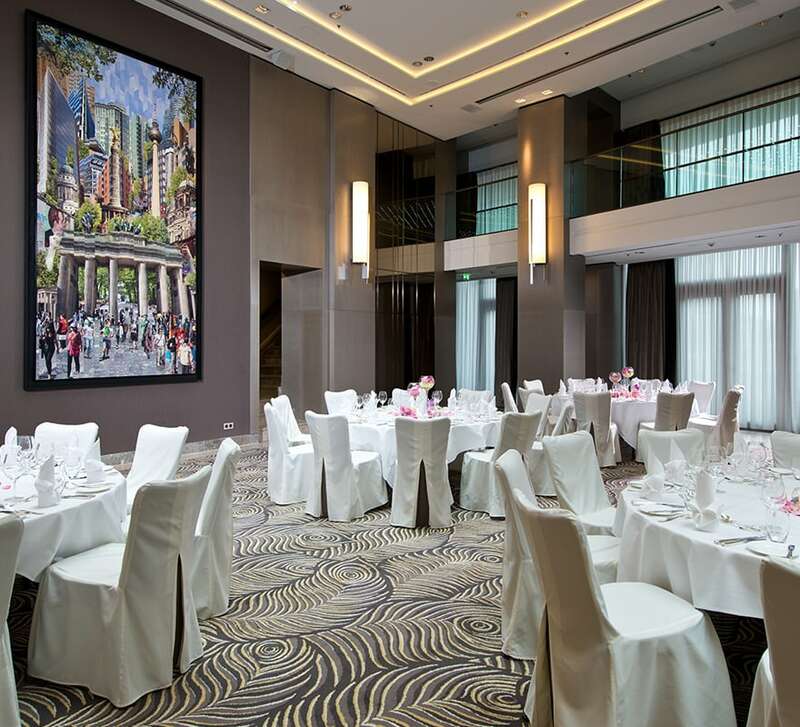 The 330 m2 ballroom on the second floor is the ideal setting for extravagant weddings, festive ceremonies or banquets. Offering a luxurious, flexible space, the ballroom is divisible into three sections filled with natural daylight, making it perfect for those special grand banquets and world-class conferences. We offer flexible meeting spaces and a ballroom, located on the same floor, to facilitate collaboration for your boardroom meeting or conference. Fast WiFi is available throughout the hotel as well as state-of-the-art lighting, audiovisual presentation technology, and recording and playback systems. Host a gathering with a difference by opting for the event terrace on the sixth floor, overlooking Berlin. The dedicated events team will take care of every small detail. 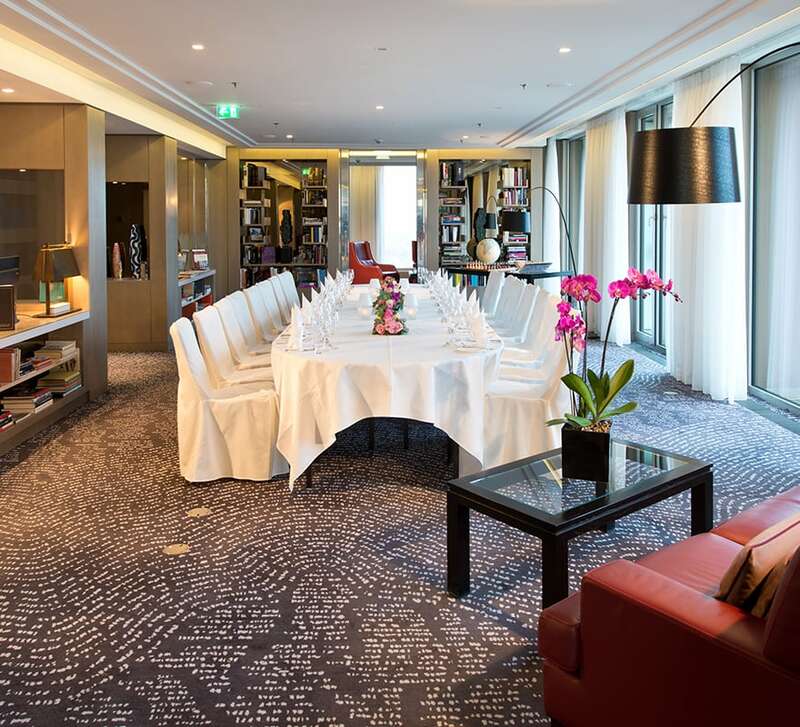 Offering panoramic views over the rooftops of Berlin from its location on the 15th floor, the Library Lounge in the Waldorf Astoria Berlin is a tranquil haven. Equipped with its own business center and a choice selection of newspapers, magazines, and over 800 books, the Library is the perfect place to relax or host small social or business gatherings in a unique setting with an epic view. 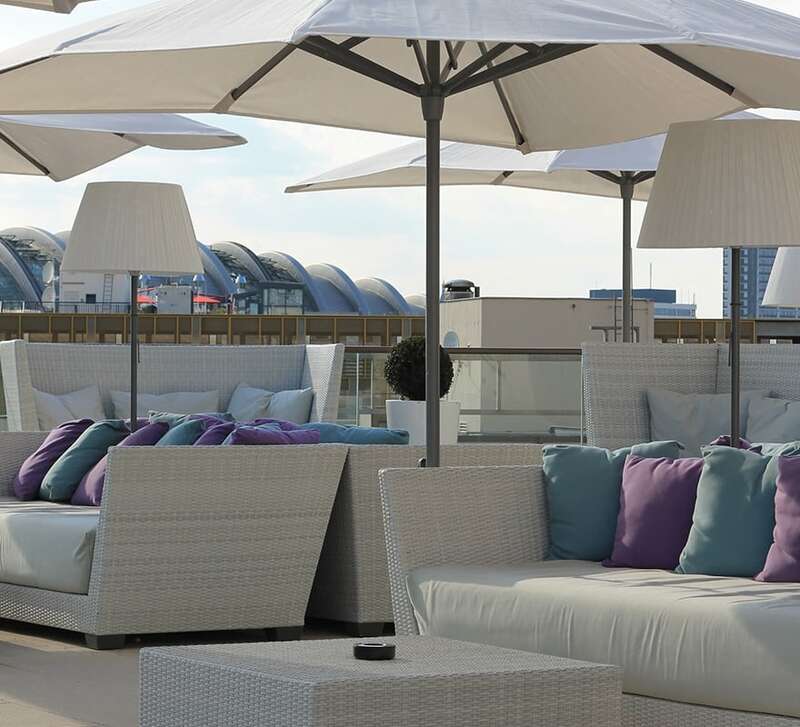 The private open-air terrace at Waldorf Astoria Berlin is a glamorous outdoor venue. With space for up to 200 people, the Event Terrace offers an ideal setting for summer cocktail receptions or private parties under the night sky. The elegant and luxurious Waldorf Astoria Berlin offers the perfect setting for your very special day. View our beautiful event spaces, from the impressive John Jacob Astor Ballroom to a romantic terrace with views of the energetic city below. We take care of every detail to ensure that your special day exceeds your expectations – from creative wedding menus and decorations to unique wedding arrangements and fully personalized service. Our decadent Presidential Suite is available for exclusive hire for extravagant events. 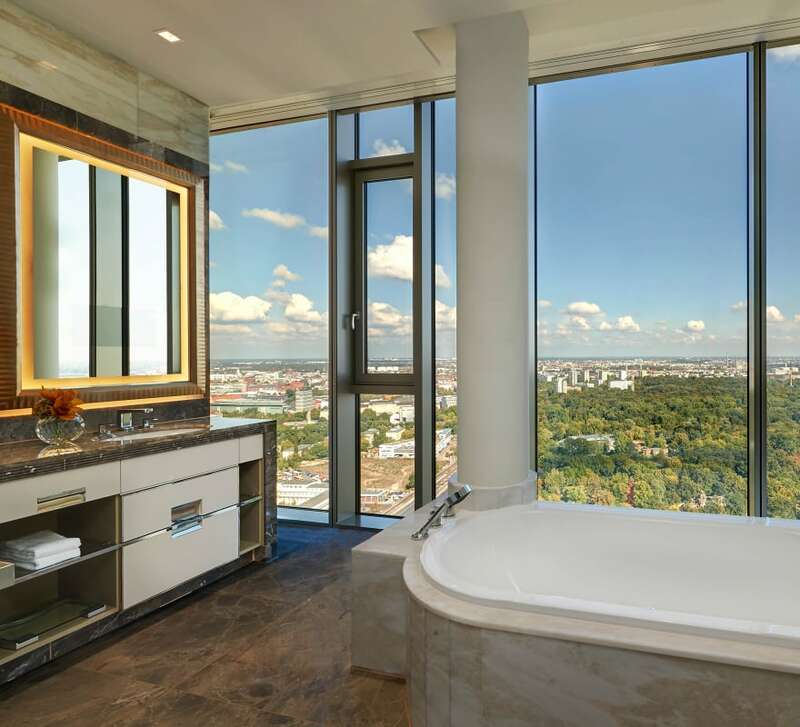 Berlin’s five-star ‘highest suite in the city’ will take your breath away with floor-to-ceiling windows, offering spectacular city views from every room, a Bechstein grand piano, open fireplace and specially designed Royal porcelain.